It feels like the good old days of third party accessories is coming back. Ever since the Wii, the market has been flooded with utter crap and third party accessories were a no go. 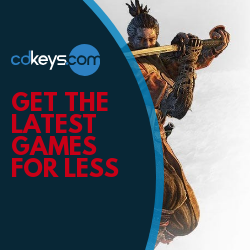 Thankfully, the Switch seems to have ushered in a new era and with it, accessories that serve a purpose other than making a quick buck. 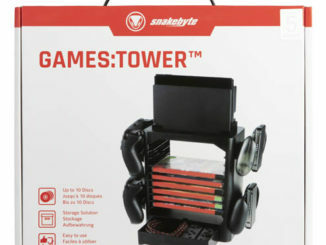 Snakebyte have produced their fair share of those recently and the latest is a space saving storage solution for the Nintendo Switch, the Games Tower. It’s a neat little piece of kit. There’s a mount at the top of the tower for the Switch Dock, which holds it firmly in place. 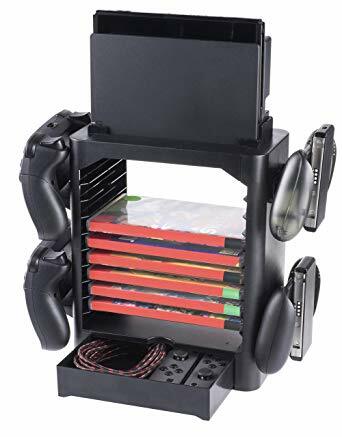 Beneath that is rack that holds up to 10 game boxes, and although the unit is specifically designed with the Switch in mind, it also accommodates PS4 and Xbox One boxes, too, which is handy if you’ve got more than one console and they are all bunched together. Another universal feature is the controller brackets mounted on the side of the tower. There’s two on each side, one side is purpose built for the joycon grip, and the other for the pro controller. 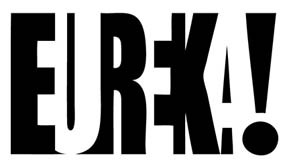 Both of which fit perfectly. And coincidentally, the PS4 control pad just so happens to fit the bracket for the pro controller like a glove, and the Xbox One pad sits nicely in the same holder as the comfort grip. Obviously these are specifically made for the Switch, but when you’ve got a few controllers for each system as it is, it’s nice to have somewhere to keep them tidy and on display. There’s also a little drawer at the bottom, big enough to keep cables in and even your Joycons if you’ve got more than the one pair. It’s a great little space saver which looks nice and neat when fully kitted out. 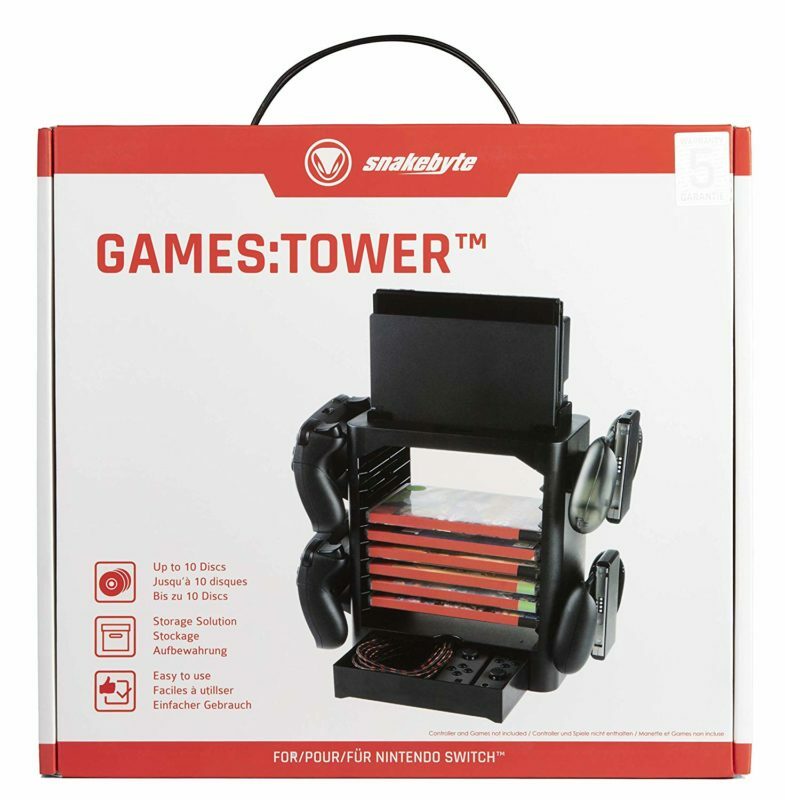 It might not be a necessity if you’ve got plenty of space around the TV, but the switch dock can be an inconvenience at times and this console tidy is a nice solution if you need the space, or somewhere to house your game boxes. It’s straightforward to assemble and once it’s up it’s nice and sturdy.